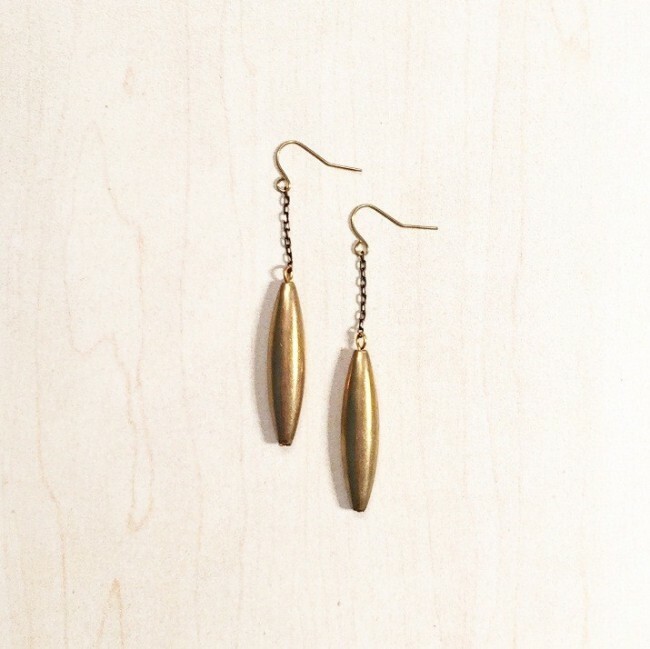 Loving these hollow brass tube earrings (so lightweight!) we received from the safe house in Beijing. Strung on brass chain and nickle free hooks.